After his recent release from prison for the murder of Mayhem frontman Euronymous, Varg Vikernes seemed to be saying all the right things. He was going to retire to a quiet life where he would write music for his band Burzum and work patiently in his garden on his prized daffodils. He had become a devout reader of Nicholas Sparks novels, particularly “The Notebook” which he called “the most bittersweet, poignant tale of young love he had ever encountered”. He had bought a farm just north of Trondheim where he planned to work with sick goats and even open a petting zoo for young children. 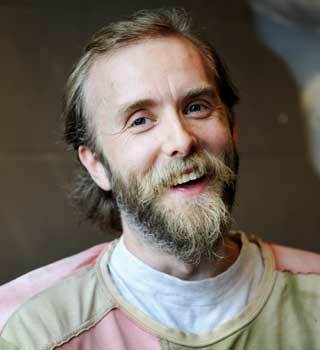 People had thought that the bizarre, horrifying saga of Varg was finally coming to a quiet end. They were wrong. Last Wednesday, Varg sent a letter to the Sandefjord Daily Examiner, claiming that since his release in March 2009 he has been secretly working on a weather control device that could “rain the fury of the gods upon our world.” The device, which he referred to as Odin’s Hammer, is capable of creating tornadoes and hurricanes, along with other types of obscure and bizarre weather events. Interpol has been tracking Varg since the first message made it to the newspapers. Several sources claim that he has slipped out of Norway and hidden in North Korea under the protection of the slightly bloated leader of that nation, Kim Jong Un. Another source claims that Varg had originally offered to sell the device to Iran for 100 million dollars, but decided against it when he learned that several prominent Iranian clerics preferred more mainstream black metal bands like Dimmu Borgir. Varg claims he will not use Odin’s Hammer if several demands are immediately met. The list of demands range from the slightly bizarre to the unbelievably ridiculous. First of all, he wants a fleet of 200 World War 2 Sherman Tanks at his disposal at all times. He has asked that Wednesday be renamed Heimdall, in honor of the Norse God whose horn will announce the end of the world. He demanded a worldwide ban on the use of ukuleles. Finally, he asked for the ruins of the Roman Coliseum to be filled with 500,000 pounds of gluten-free cupcakes. Authorities are confused by Varg’s request and some believe that it is possible that these requests might, in fact, be signs of mental illness. In America, one of the targets for potential attack named by Varg in his last letter, responses were mixed. Several prominent politicians called for an immediate program creating billions of dollars in subsidies to corporations that create gluten free cupcakes. However, some politicians, like former Presidential candidate Scott Walker were not impressed with Varg’s threats. “We all know that it is impossible for human actions to affect the weather. That’s just preposterous,” said Walker in Wednesday’s interview on The Sean Hannity Show.